Governor Andrew Cuomo on Friday laid down an important marker in his push to make the property tax cap permanent, rejecting changes that would weaken it. This year we have to make the property tax cap permanent once and for all. No exceptions, no tweaks, no backdoor increases, no Albany games. 2 percent is 2 percent. No exceptions and that’s the bill that we have to pass. The importance of Cuomo’s position can’t be understated: the property tax cap, which limits property tax levy growth to two percent or less per year with some exceptions, has succeeded in arresting New York’s runaway property taxes chiefly because it was written without the loopholes that weakened New Jersey’s tax cap. And the Legislature has spent most of the eight years since the cap’s enactment concocting the sorts of “exceptions,” “tweaks,” and “backdoor increases” about which the governor warned. Lawmakers have proposed no fewer than 15 different ways in which to weaken the cap, including three proposals that would have gutted its most effective mechanisms either by making overrides easier or changing how the cap is calculated. 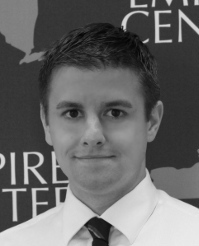 The New York State United Teachers (NYSUT), the statewide teachers union and arguably the cap’s fiercest adversary, has for years sought to weaken the cap by promoting “reforms” which together would make the tax cap almost meaningless. Cuomo likely recognizes even the smallest modification could have a far-reaching impact. Just one exception, part of the original formula and triggered in 2013, raised the cap to account for a jump in pension costs and pushed up school district levy limits by a weighted average of 1.5 percent of the previous years’ levy. The pension exception not only let districts collect an extra $298 million in school year 2013-14 but also baked the increase into the base on which future caps were calculated even as pension costs dropped back down. Given how often school districts have increased taxes as high as the cap will allow, it’s likely this single exception has cumulatively cost taxpayers more than $1 billion in the five rounds of school budgets since. 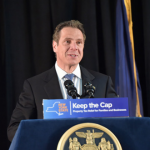 Cuomo is pushing full-steam ahead to make sure the cap is made permanent as-is and that New York doesn’t sink back into the bad old days when school property taxes were rising an average of 6 percent per year, as they did between 1982 and 2011. If successful, Cuomo will be cementing his legacy as the governor who bent the curve on property taxes and resolved an issue that has long hindered the state’s economic competitiveness.
.@NYGovCuomo laid down an important marker in his push to make the #nytaxcap permanent, rejecting changes that would weaken it.